Valetina Island – also known as Valencia – with its dramatic cliffs at Bray Head, is separated from the mainland by a torturous sound with narrow entrances. It is 11km long and 3km broad, and was once famous for its slate. The original Altlantic cable was finally laid by the cable ship The Great Eastern, from here to Trinity Bay, Newfoundland, after several unsuccessful attempts to lay it between 1857 and 1865 (the first message was finally sent by cable later that year). A road on the north side of the island skirts Glanleam, with its subtropical gardens and enormous fuchsias. Offshore is the smaller island of Beginish with the sheer cliffs of Douglas Head. Geokaun, the highest point on the island, ending in the Fogher Cliff, provides a good view of the Dingle mountains and the Blaskets. 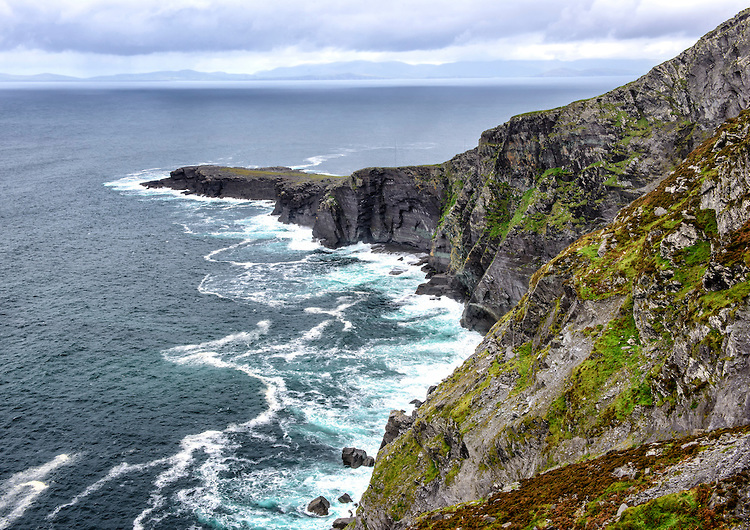 Valentia Island is a hidden gem that is worth a visit on your Ireland tours.